Welcome to this sunny and spacious 2 Bed/2 Bath home featuring an open layout with laminate floors throughout! Large Living/Dining RM features a private balcony facing Wellington and adjacent to a great Kitchen with 42&apos;&apos; cabinets, granite countertops, stainless steel appliances and island with breakfast bar! Large Master Suite features en suite Bathroom with shower and WIC and additional 2 additional closets. A 2nd Bedroom and full Bathroom with soaking tub complete this great floorplan. 2 heated garage parking spaces with bike storage. 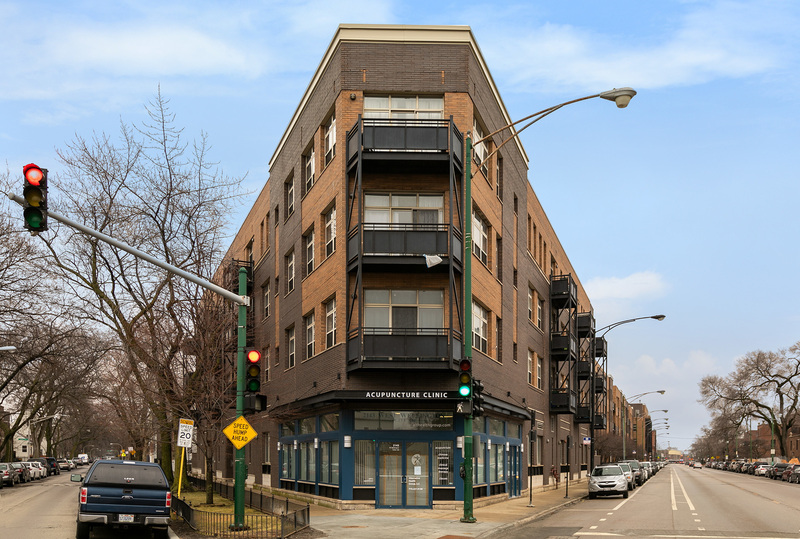 In Unit WD, Central HVAC, and ceiling fans in this 2003 elevator building near all the dining and shopping of both Roscoe Village and West Lakeview to include Mariano&apos;s, Whole Foods, and Hamlin Park!